NH’s Best BBQ Recipe Winner Announced! 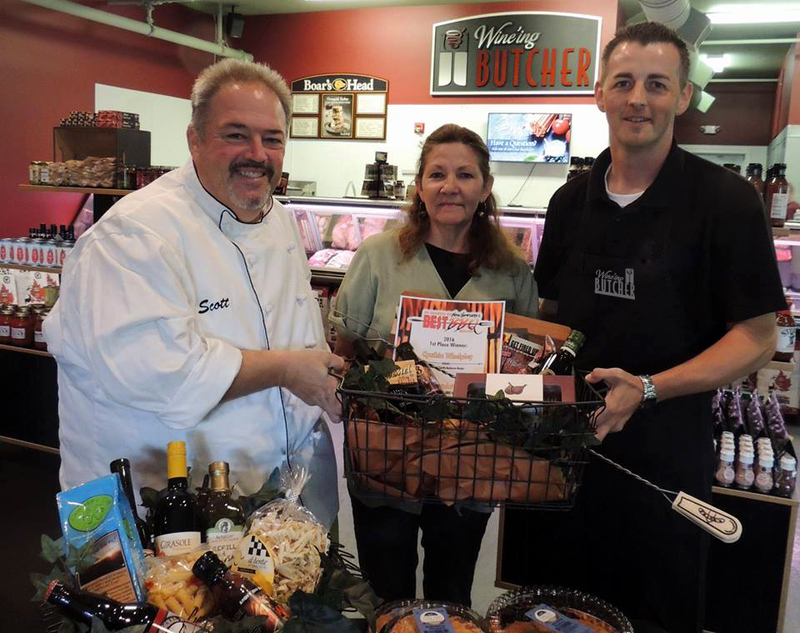 Cynthia Whelpley of Hooksett was presented with the 1st place prize pack by Chef Scott Ouellette and Wine’ing Butcher GM, David Moulton. Her Orange Brandy Barbecue sauce will be featured during the month of July at O and Canoe Restaurants.